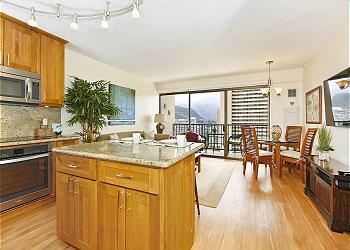 Captain Cook Resorts Vacation Rentals at Four Paddle Condominiums are premier accommodations with central air conditioning, full kitchens and washer/dryers in each suite. 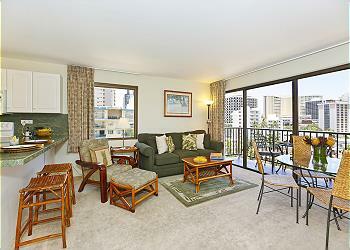 Each Four Paddle suite has wireless or high speed internet connections and assigned parking. 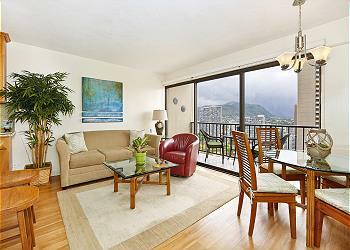 Located in the middle of Waikiki, with either ocean or mountain views, Four Paddle Condominiums offer a fine retreat for vacationers and corporate visitors alike. 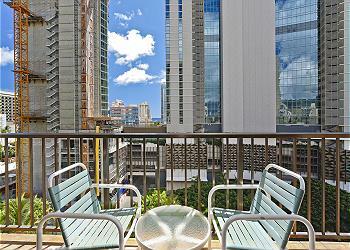 There is a recreation deck with swimming pool, sauna and barbecue. 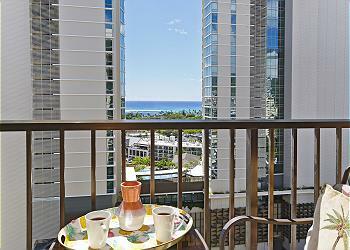 These vacation rentals at Four Paddle are also close to the newly restored Beach Walk area of Waikiki where you will find casual and fine dining restaurants, many specialty shops and evening entertainment. 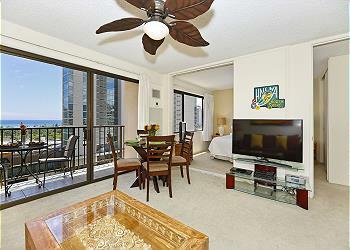 Four Paddle vacation rentals are within easy walking distance to Waikiki swimming beaches and the newly renovated Royal Hawaiian Shopping Center. 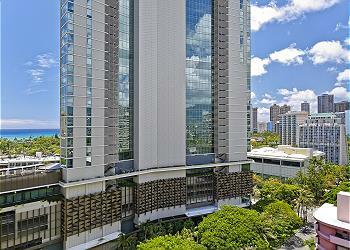 It is about a 10 minute ride to Ala Moana Shopping Center. 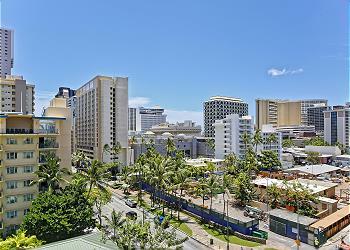 (Ritz Carlton construction across the street is nearing completion. 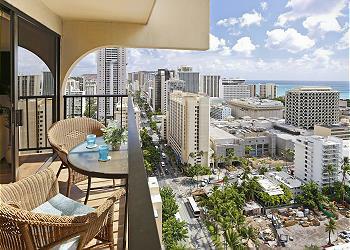 Only minimal noise is now present.) 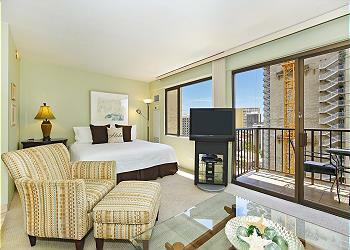 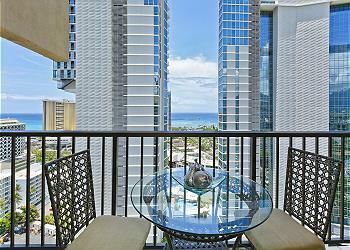 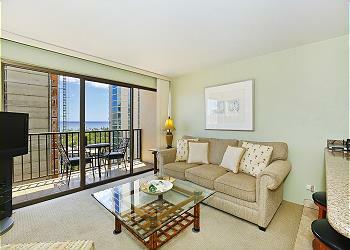 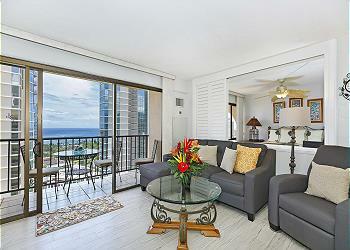 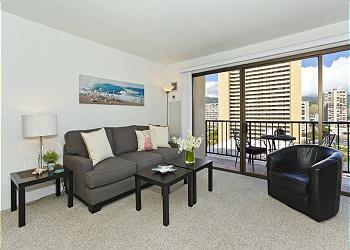 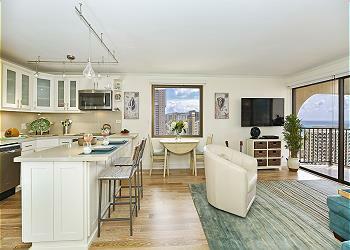 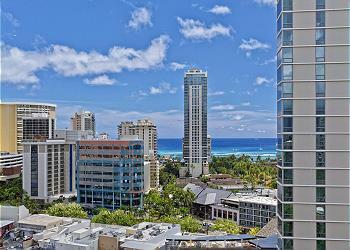 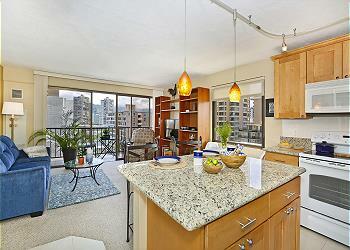 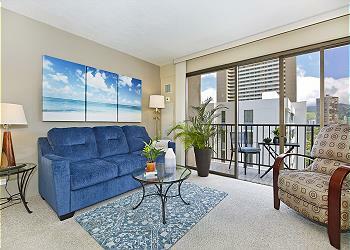 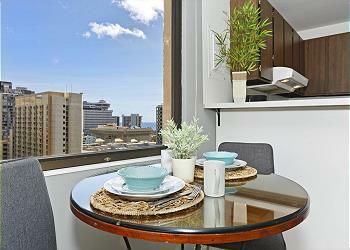 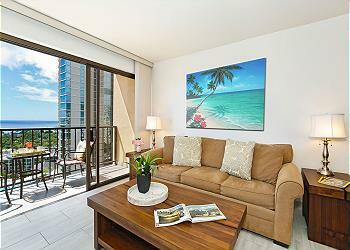 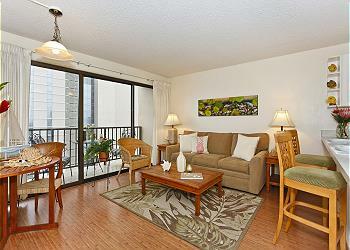 Captain Cook Resorts Vacation Rentals at Four Paddle are among the finest accommodations you will find in Waikiki.